Jane Casey was born and brought up in Dublin. She then studied English at Jesus College, Oxford, followed by an mPhil in Anglo-Irish Literature at Trinity College, Dublin. Married to a criminal barrister was born and brought up in Dublin. She then studied English at Jesus College, Oxford, followed by an mPhil in Anglo-Irish Literature at Trinity College, Dublin. Married to a criminal barrister, she lives in London and works in publishing as a children's books editor. "Vivid, compelling and emotionally engaging, as the best crime novels are. Elsa is an unforgettable central character, damaged but determined. You know you are in good hands as the plot skilfully brings her past and her family into the investigation.... A perfect, deeply satisfying thriller that grips right to the end." "The Liar's Girl is heartstoppingly brilliant - a completely convincing, expertly plotted tale. The pace is unrelenting. Catherine Ryan Howard... is an extraordinary talent." "This book made me whimper out loud for fear of what was going to happen. HUGELY enjoyable." 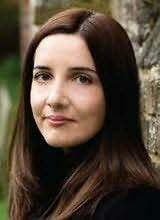 "This debut shows that Caroline O'Donoghue is one of the brightest stars in the current galaxy of young Irish writers. Promising Young Women is funny, clever, upsetting, fierce and absolutely of its time. A future classic." "Hugely enjoyable, A House of Ghosts has the bones of a taut thriller wrapped up in the gorgeous romance of its ghostly island setting."